Claudio Pita, Senior Engineer on the Technical Support Team. One of my favorite series on Lifehacker is called How I Work. In this series, the team interviews people from around the world to learn about the tools and techniques they use to get through the day. We decided to try something similar with the Pointwise staff and over the next year will share with you how we work. 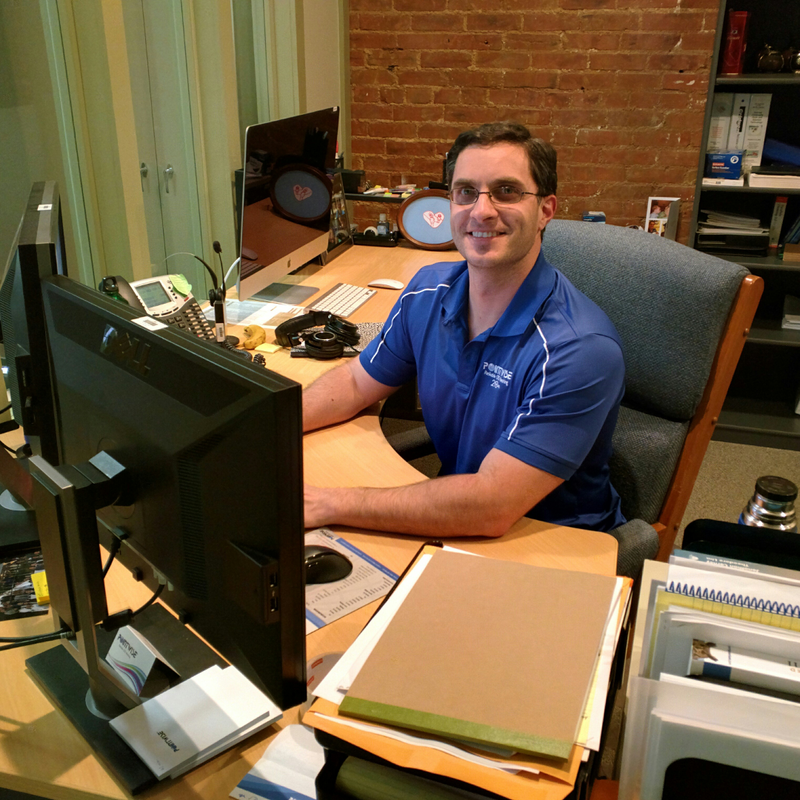 As a part of the Technical Support team, I use a variety of tools to ensure our customers receive unmatched support. With that in mind, I use Pointwise and Gridgen every day. Not only am I using these tools to field support requests, but also to generate grids for workshops and conferences. Our customers can contact us in a number of different ways. These days most requests arrive via email, so I use Outlook as an email client. On my Windows machine Outlook and our CRM software, Sage, can talk seamlessly making it easy to keep track of feature requests, bugs, and general communications. One of the areas we are all responsible for on the Technical Support team is documentation. When a new feature is released or a bug is fixed, it must be documented. I use Corel PaintShop Pro and FrameMaker to help create our PDF documents shipped with every copy of our software. Support is my first priority, so I’m first and foremost fielding customer requests. All of our customers are working on different applications, so the work is varied. In the morning I may be helping a customer mesh the wing tip of an aircraft and by the afternoon I’m meshing the passage of a pump. Also, because our software can be automated, I actively develop Glyph scripts for either complete applications or to automate tedious tasks. As far as specific projects I’m currently working on, one is a grid for the DrivAer geometry. The grid is a viscous hybrid grid and we are working with a partner to perform shape optimization to improve the baseline model’s performance. We will be presenting this work at the upcoming 10th OpenFOAM Workshop. I’m also participating in the Sonic Boom Prediction Workshop hosted by AIAA by generating grids for their test cases. Having worked in Pointwise’s Applied Research team prior to transferring to Technical Support, I did a lot of development work. Therefore, it was relatively easy to get started with Glyph scripting. Not a lot of people know how powerful Glyph can be. I like to help our customers realize the power of Glyph by writing scripts to either automate their entire meshing process or save them time by writing utility scripts. My editor of choice would have to be Emacs. Do you have any Glyph scripting tips? This manual is very useful and will teach you the best practices to be implemented in your own Glyph script. You can find this document in Help, Glyph Reference Manual. This manual presents a description of every Glyph function we support. Please note that you can find a particular function either by name (About, Functions) or by type by expanding the appropriate Glyph type (e.g. pw::Layer in General Types). This manual is located in Help, Glyph Manual Pages. Even if this particular tutorial does not work a problem similar to yours (3-D unstructured volume meshing around the wing), it is a very useful resource that will teach you basic Glyph programming logic before you start writing your own script. This tutorial will also show you the “best Glyph practices” presented in the Glyph Reference Manual in an actual script. You can find this tutorial in Help, Tutorial Workbook (the last tutorial). Pointwise has a library of Glyph scripts available on GitHub (a web-based version of the Git revision control system). Here you will find a wide variety of very useful Glyph scripts that you can use as templates or for reference. You are more than welcome to attend one of our Glyph scripting training courses. Please note that our courses are free of charge to current customers (you would only have to travel to our offices in Fort Worth, TX). You can find the schedule for the upcoming classes here: http://www.pointwise.com/support/train.shtml. Always keep in mind that you can contact us at support@pointwise.com if you need some help to resolve any issues you may encounter either with a Glyph script or a mesh generation project. The grid I generated for the Sonic Boom Prediction Workshop. This case gave me an opportunity to work on a complete mesh that will be used to run some very interesting CFD simulations, hopefully to be presented at the workshop and compared with experimental data. Working at a grid generation company doesn’t leave me with too much time to run complete CFD simulations. That being said, I do get to use a variety of solvers to test any issues that are reported by our customers. When I have to postprocess data or look at our grids and solutions simultaneously, I’ll resort to using either Tecplot or ParaView. Since I’m working on assembling a grid for the DrivAer model proposed by the Institute of Aerodynamics and Fluid Mechanics at the Technische Universität München, I’ve been reading Experimental and Numerical Investigation of the DrivAer Model by Angelina Heft. I will bring the work I’ve been doing with the DrivAer model to the 10th OpenFOAM Workshop to be held this summer in Ann Arbor, Michigan. Tell us about what you do when you’re not generating meshes? When I’m not generating grids I’m taking care of my kids. Beyond that, it’s church, exercise, and woodworking in that order. In Fort Worth, Texas de Brazil. Moving south, in Houston, Tango & Malbec. In Buenos Aires, Argentina, my home country, I’d pick Los Inmortales. I like a good slow cooked well done steak…not burned…slow cooked. This entry was posted in People & Places and tagged CFD, Glyph, Gridgen, meshing, OpenFOAM, ParaView, Pointwise, Tecplot, This Is How I Mesh. Bookmark the permalink. Excellent writeup. It’s nice to have a counterpart to the Lifehacker series in which everyone works from a MacBook Air and iPhone 6. I’ve got Claudio beat on RAM & OS (32 GB & Windows 8.1, respectively). I used to like Emacs, but Notepad++ is my current favorite. Judah, I’m not certain that I’d say that Win 8 “beats” Win 7. And with all due respect, vim is what the cool kids use.